The Turin Shroud, which is believed by some Christians to be the burial cloth of Jesus Christ, has gone on display for the first time in 10 years. 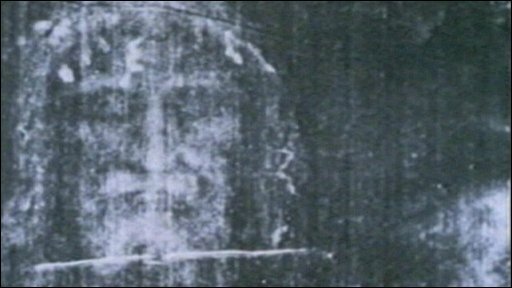 The shroud is expected to draw some two million visitors to the northern Italian city over the next few weeks. The cloth shows the faint image of a bearded man with stains of blood on his hands and feet. Tests in 1988 suggested it dated from the medieval period but those carbon dating findings are contested. Measuring just over 4m x 1m (14ft x 3.5ft), the frail linen sheet shows an image of a man's body complete with bloodstains and what appear to be wounds from crucifixion. Millions of Christians believe the cloth is the burial shroud of Jesus. In 1988, special tests dated it to between 1260 and 1390, suggesting it was a medieval forgery. But since then, other scientists have cast doubt on those findings and appealed to the Vatican to allow new tests using more modern techniques. Some two million people are expected to visit Turin Cathedral to see the shroud, which will be on public view for six weeks, kept in a bullet-proof and climate-controlled case. Pope Benedict XVI is due to fly to Turin on 2 May to pray before the shroud.